Last week HTC unveiled HTC Fetch accessory and today they come with new accessory to promote their BoomSound feature. 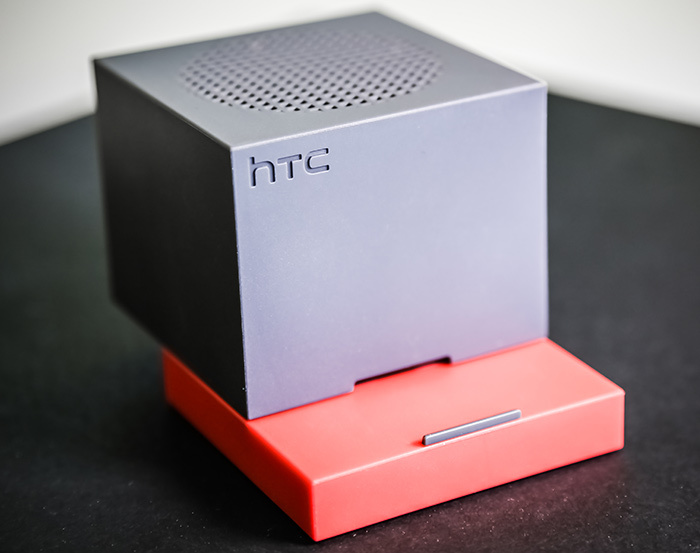 HTC BoomBass is a small cube shape Bluetooth speaker with 1200 mAh battery that provides up to 9 hours of playback. The BoomBass can pair with phone via Bluetooth or NFC and works within 10 meters of your phone. The bottom portion slides out that can be used as a stand for your phone see the image below. HTC BoomBass will work as a subwoofer that handles the low-end sound frequencies. You can charge BoomBass via a regular microUSB cable that comes with your Android phone. 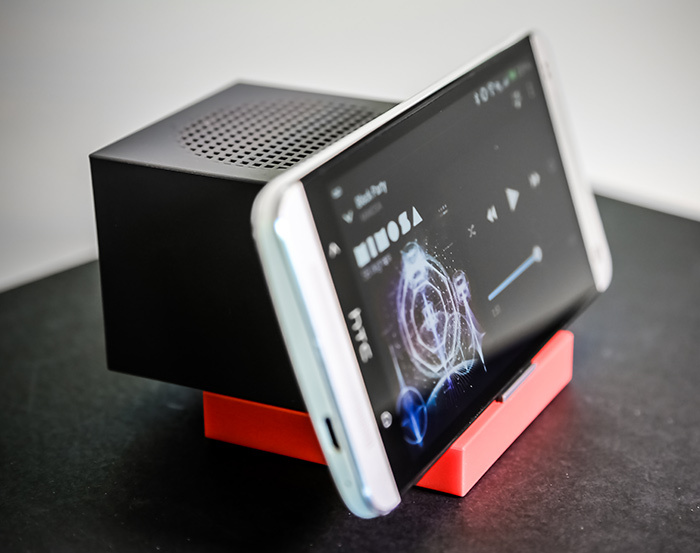 The HTC BoomBass will be available from the European online HTC accessory store in October and other markets will follow soon.